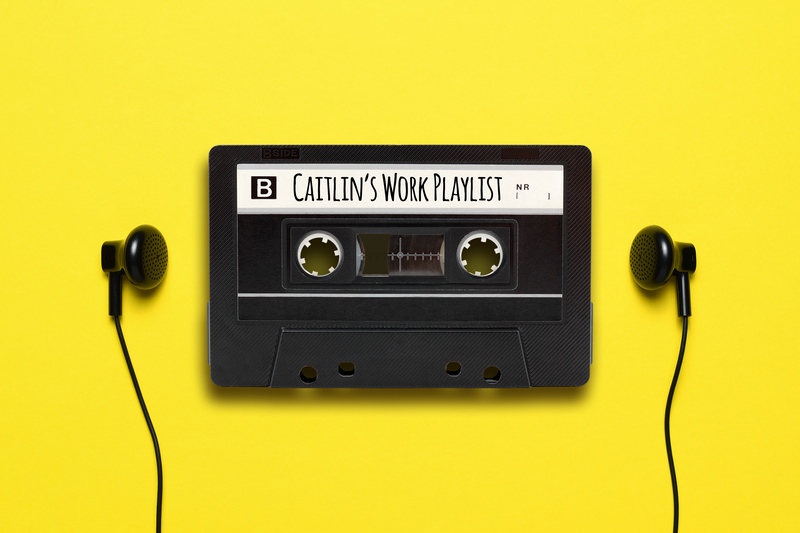 Advokate Web Design | Caitlin’s Workin’ 10-5 Playlist! Are you a little bit country or a little bit rock n roll? Certain circumstances make us crave certain tunes. Crunching code with not a lot of time left before the deadline hits? You’re probably going to want something with a fast tempo and a solid base line. If you’re designing a logo for a yoga studio you’ll probably want to tune into something tranquil, maybe even instrumental. No matter what type of work day you’re having we all have those songs that are like a shot of adrenaline to the brain. Why do we work better with music? My job at the Advokate office consists mostly of data entry, research, creating contracts and drafting proposals. I’m one of those people that thrives on ticking off checklists (think Monica Gellar meets Danny Tanner) so this is my happy place. Sometimes though the creative side of my mind can wander off into the clouds and I find myself staring off into space imagining I’m the next Spielberg. Music is imperative to keep me on task. Never get turfy and keep your eyes on your prize. “Comparison is the thief of joy” as they say. Don’t edit your work to death. Always do your best but know when to say it’s finished. Don’t take yourself too seriously. Put on your suit coat and dance! Nothing at work is the end of the world and tomorrow you get to start again. Remember how far you’ve come. and those who have your back. You got this! Trust the process. Not everything is going to spark inspiration but relax and trust that your best self will rise to the occasion. Put a little of your soul into everything you create. Cultivate a work environment that reflects what you wish to achieve. Lean on your co-workers. You’re all in this together! Because we’re all one bad Monday away from a life of crime. Never be afraid to channel your inner Doralee. Always stand up for yourself! Remember that music soothes the savage beast and sometimes that beast looks a lot like 2:00pm on a rainy Tuesday afternoon. Put on your headphones and create your best work! What songs are on your work playlist?